Having braces can give you a hard time. It is pretty difficult to do certain things such as speaking, eating and even cleaning your teeth. While you are using braces I will share some tips to make cleaning your teeth much easier. This will help you to maintain a good dental hygiene routine despite having braces. So do not despair and keep reading, hopefully you will find something useful. It is very important to keep you dental hygiene or your braces can break or harm your teeth. Not even m entioning all the diseases you can get on your teeth and gums, besides wrecking your teeth. 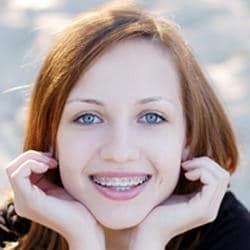 Keep in mind that using braces should not be an excuse to take care of your teeth. I know it can be bothersome to clean them but well help you out, do not worry. The first tip to clean your teeth is to never skip brushing your teeth. Use slow and gentle strokes to clean every surface of your teeth. You do not have to waste toothpaste, so use only enough to cover the bristles of your toothbrush. Speaking of which, use a soft or medium bristle toothbrush to clean your teeth. If you have an electric toothbrush then you are set because it will make a breeze to brush your teeth. There is also some little toothbrush designed especially for cleaning braces. It is not a bad idea at all to get one for you. One common mistake patients make is to never cover every tooth or the zones close to the braces when cleaning their teeth. This is important to cover because leaving a dirty spot can make your teeth look bad when the braces come off. When using dental floss use an inch more than you would use normally. 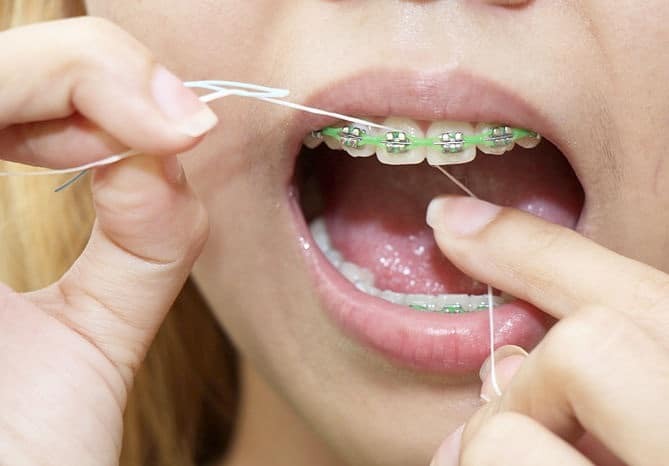 Usually you need just a couple of inches to clean between your teeth but with braces everything gets a little trickier. Besides, food can get stuck ridiculously easy thanks to the brackets so you need to be extra careful with that. I suggest getting a cleaning every time you visit your dentist, we have nice prices in Dental Solutions in Los Algodones Mexico. Finish all with a good rinse with mouthwash and you will be done. It should not take you more than 2 minutes to do this routine. It is easy, quick and painless just as you like it. Remember to go for regular checkups and consulting with your dentist any discomfort that you may feel with your brackets. I am going to share some other tips that may be useful for brackets users. First one has to be to stay away from sticky food as it can get stuck easily and is a pain to clean from the braces. Solid foods are not a problem, though. Also you may consider to get a clear braces so they do not stand out, besides they look really cool. If you want to get brackets, come to Dental Solutions in Los Algodones to get good deals in any dental treatment. You can save up to 60% compared to US and Canada prices. Do not be shy and contact us to make your appointment right now!